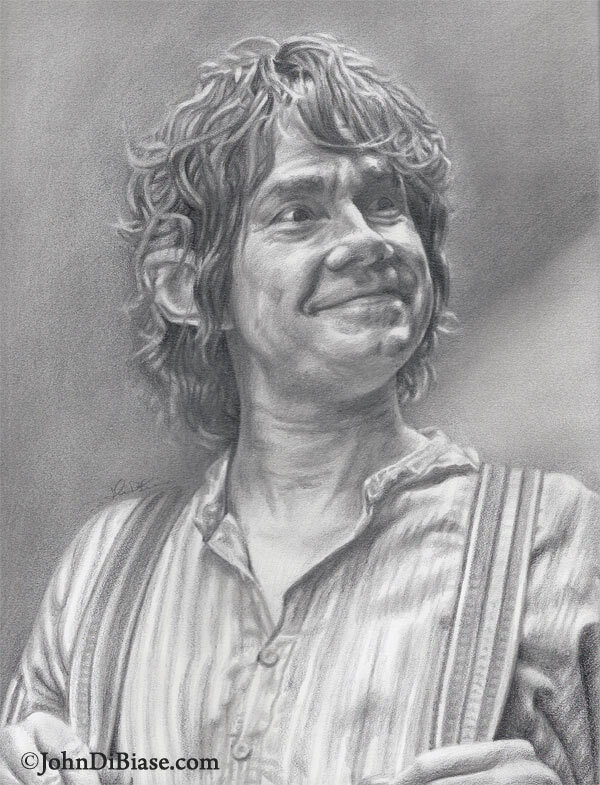 Following seeing The Hobbit, I felt inspired to draw this Martin Freeman suited up as Bilbo Baggins. The detail in the shirt was definitely a challenge, but it felt worth it in the end. It was done entirely with just regular wood drawing pencils I believe.